OXXO Care Cleaners®, the leading environmentally friendly garment cleaning franchise, announced the opening of their newest store located at 243 NE Third Avenue, FL 33132 in Downtown Miami, FL, on December 1st, 2018. This ideal location is a half block from the American Airlines Arena and just steps from the Holiday Inn. “Our Brickell location is booming so it was logical to continue to cater to the similar downtown market. Miami professonals truly value our “We Care” philosophy coupled with innovative equipment, quality and use of GreenEarth. This market particularly appreciates the 24/7 ATM drop off and pick up as well as our at home delivery service. We are proud to have made OXXO Care Cleaners a staple in South Florida, OXXO’s home, and growing in many cities across America,” said Salomon Mishaan, CEO of OXXO Care Cleaners. OXXO will be the only dry cleaner in Downtown Miami that offers operational transparency, speed, quality and ATM-style convenience. OXXO stores have same-day service available when ordered before 11:00 a.m., or the next day if made after 2:00 p.m.
Jose Guillermo’s family owns three other successful OXXO franchises in Coral Gables, Palmetto and Brickell, and he is the visionary for the downtown project. His storefronts are the only 5 star dry cleaners in their areas on Google. Now, the downtown Miami residents that have demanding and busy schedules, will enjoy the most modern and innovative dry cleaning service right in their backyard. OXXO Miami customers are drawn to the unique combination of services offered—24/7 ATM pick up/drop off, boutique-style setting, mobile payment app, use of GreenEarth and on-premises hand ironing. 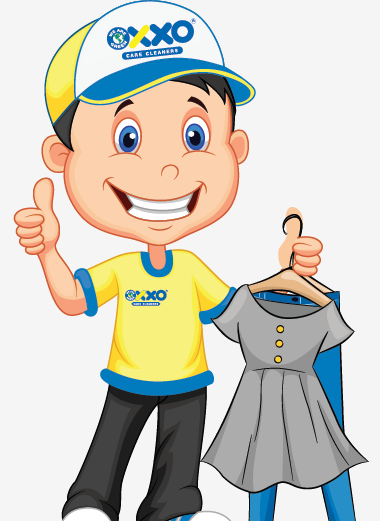 “People truly like the familiarity of OXXO franchisee owners and the high-end dry cleaning experience. We’re very excited about amplifying our services in downtown,” said Jose Guillermo. Miami has also launched recent environmental initiatives, coinciding with OXXO’s mission of providing GreenEarth technology and solvents and Top Terra, an environmentally frendlly detergent. The GreenEarth Cleaning process uses liquid silicone in place of petrochemicals. Liquid silicone is a base ingredient in many everyday shampoos, conditioners and lotions, and is safe in contact with human skin. Top Terra, produced with renewable components, elaborated from an ingredient derived from palm oil, will be the only one of its kind in the U.S.
Do You Process House Rugs?